Hey all. I’ll be coming the US for a few weeks, and will be giving a few talks while I am there. If any of you are in Vermont, Boston, Princeton or Philly, come on by. Wednesday, February 25th: Middlebury College. Middlebury, Vermont. 4:30 PM in Dana Auditorium. Nice write up on Middlebury’s website (click on the photo for a link to the full piece). [Two small corrections to the piece: It was settlers, not IDF soldiers, who cut down the grape vines in Halhul; and I am also just a member of All That’s Left (I helped found it- but there are no leaders, as such)]. Sunday, March 1st: Brandeis University. Waltham, Massachusetts. 7:00 PM. Mandel Reading Room. More info. Monday, March 2nd: Harvard University. Cambridge, Massachusetts. 8:00 PM. Lowell House. Good event, complicated back story. Might update. Tuesday, March 3rd: Princeton University. Princeton, New Jersey. 4:30 PM. Center for Jewish Life / Hillel. On March 3, 2015, Princeton University’s Center for Jewish Life – Hillel welcomed activist Moriel Rothman-Zecher to speak in our building. Moriel is fluent in the language of the mainstream American Jewish culture, the language of religious Jews committed to the literacy and traditions of their faith, and the language of those passionate about ending the occupation and confronting all forms of injustice. Much like his poetry, which seamlessly and creatively incorporates English, Hebrew and Arabic, his powerful and deeply personal message to the Hillel community wove all of these languages together in a beautifully poignant and compelling way. Wednesday, March 4th: Haverford College. Haverford, PA. 8:00 PM. Debate with StandWithUs’ Hen Mazzig. 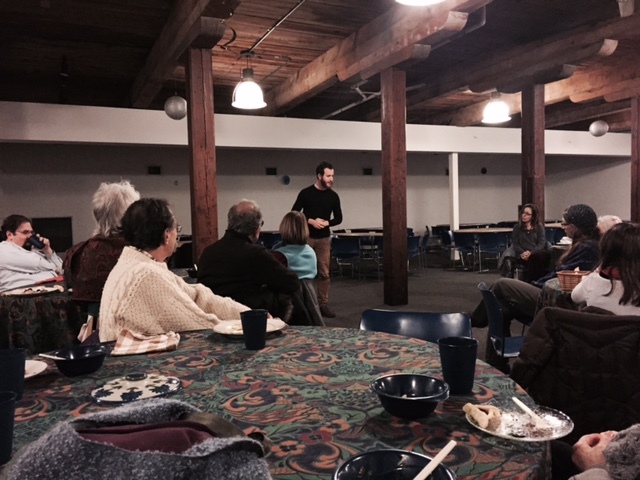 Friday, March 6th: Reconstructionist Rabbinical College (AM) and Mishkan Shalom Synagogue (PM). 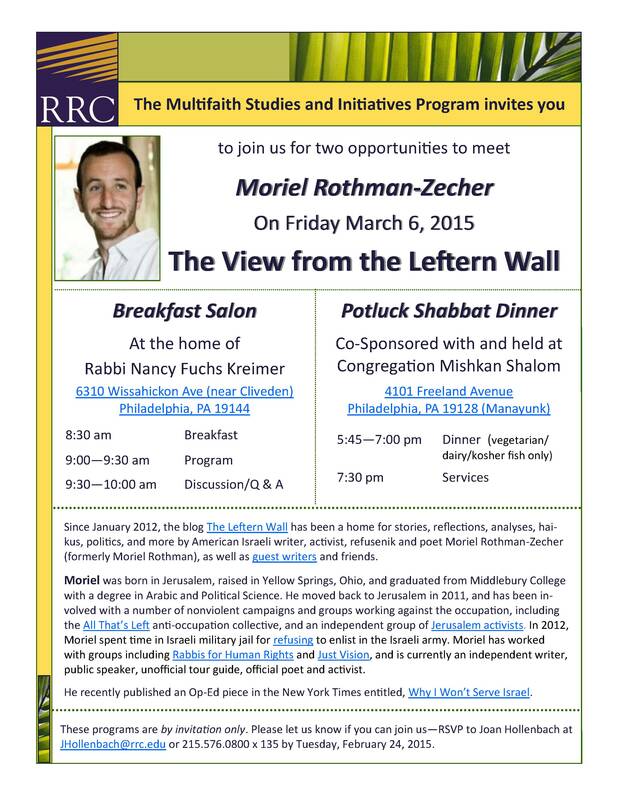 Philadelphia, PA.
Sunday, March 8th: Kol Tzedek Synagogue. 5:30-7:30 PM. Calvary Center, 801 S. 48th St., Philadelphia, PA. More info. When will you stop through Washington, D.C.? :) I will buy you dinner! I know lots of folks who will come listen/hang out.